Sometimes it is about using ALL our experience when helping a dog, particularly autistic dogs. 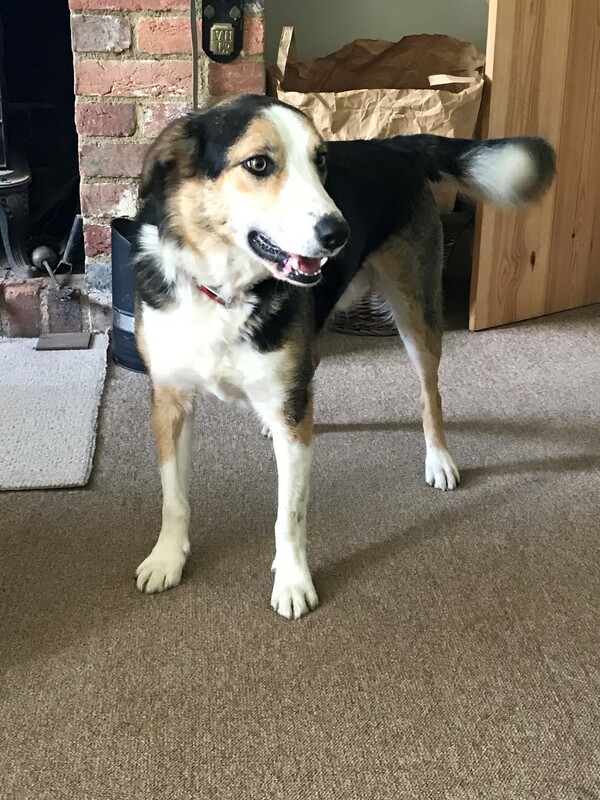 We had a call from a carer who came along to our training session with Sussex Pet Rescue enquiring if massage therapy could help with her anxious rescued collie cross Billy. She said that although there seemed to be nothing wrong with him physically (she had had him checked over by her vet) he had been diagnosed as mildly autistic by Holistic Veterinary Surgeon Tim Couzens some time ago. Recently he had become very excitable, particularly when people come into the house – the result being almost hysterical, non-stop barking. He had also recently started displaying jealousy of their mild mannered, tolerant older collie. This manifest itself as showing aggression towards him, again a recent development and one which, luckily, so far, Pip just ignores it and puts up with! They had a rather sketchy history of Billy having been ill-treated as a pup and he is wary of men. Surprisingly he is very affectionate, although he is still nervous with sudden loud noises and they live near a pheasant farm and shoot…. 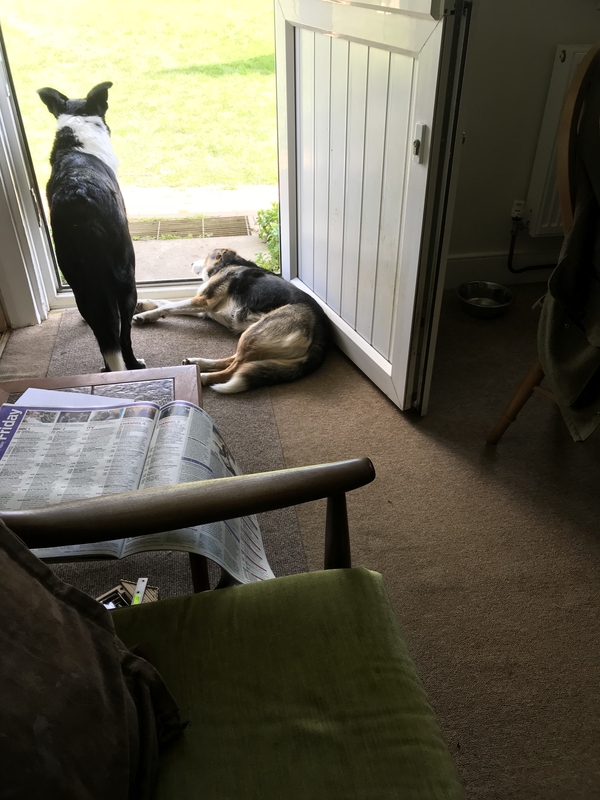 Chris went to see them, armed with ideas to try, research on and an article about autism in dogs. He was met with a very vocal greeting from Billy as soon as he parked his car and this continued as he entered the hallway. He told the carer not to worry – which she clearly was – and told Billy that was enough now, we’re not playing that game. And, much to his carer’s surprise – he stopped. They said that they felt they’d got him there under false pretences as Billy was behaving so well. • Kneading of shoulder, neck and chest. • Suggestion of considering the use of a pheromone diffuser and/or diffuser oils such as lavender to calm everyone down. Not restricting yourself to one set of skills or a single discipline, and instead using all your skills and experience can be very effective when holistically treating the behaviour and nature of a dog. Having a toolkit of skills and techniques available to call upon allows the therapist to adapt to the circumstances they find and develop a strategy for dealing with any issues they encounter. 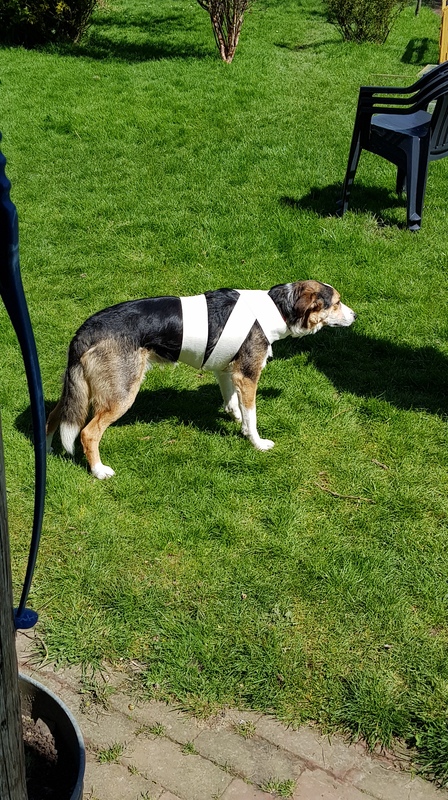 In this instance it wasn’t ‘just massage’ (it rarely is – and we’ve stopped saying ‘just’), but a whole raft of skills brought to bear, very quickly, and producing such a profound change in the behaviour of the dog. In addition, our use of personalised workbooks helps to empower the owner to be able to ‘do something to help’ rather than feeling helpless. As seen by the response from the owner the next day, the effect can be quite dramatic. This entry was posted in acheypaw, achy paws, AchyPaw, autism in dogs, canine myotherapy, dog myotherapy, achypaw myotherapy, myotherapy, achy paws, confidence boost, Dog, dog myotherapy, multimodal, multimodal therapy for dogs, myofascial release, myotherapy, not just arthritis, south coast dog massage, south coast myotherapy, Sussex, Sussex Pet Rescue, T Touch, Tellington T Touch, Testimonial, therapeutic massage, training, well dogs and tagged acheypaw, achypaw, achypaw myotherapy, achypaws, Dog massage, injury prevention, massage, one to one training, Relax HAOK9 Massage, south coast dog massage, south coast myotherapy, therapeutic massage, www.achypaws.com. Bookmark the permalink.